Interior Inspiration: Transforming a Tiny Rental | Valet. Renting an apartment can sometimes leave you feeling like you can't make a place your own. 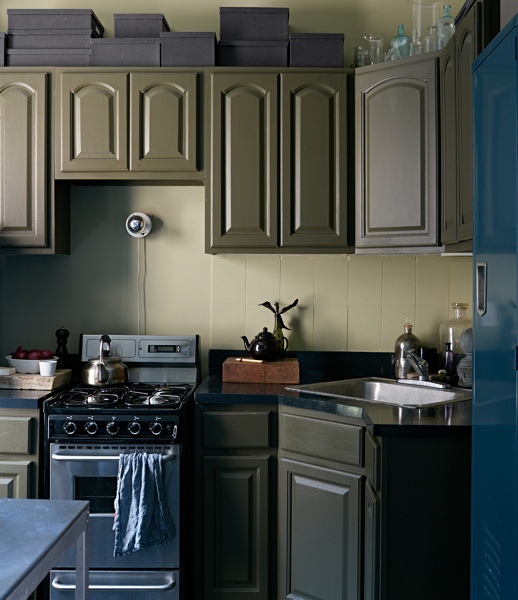 But photographer Stephen Kent Johnson proves that if you're willing to put in a little time (and paint), you can transform any space into a handsome home that fits your personal style. 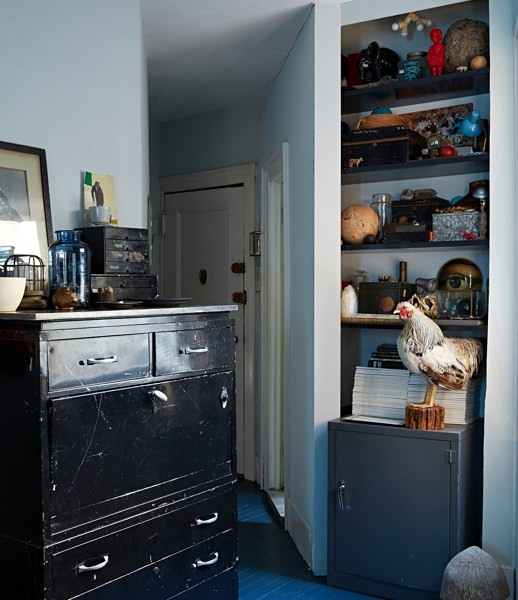 He took an oddly shaped 400-square-foot apartment in New York's West Village and turned it into a calming place to live and work. Here's how he did it. 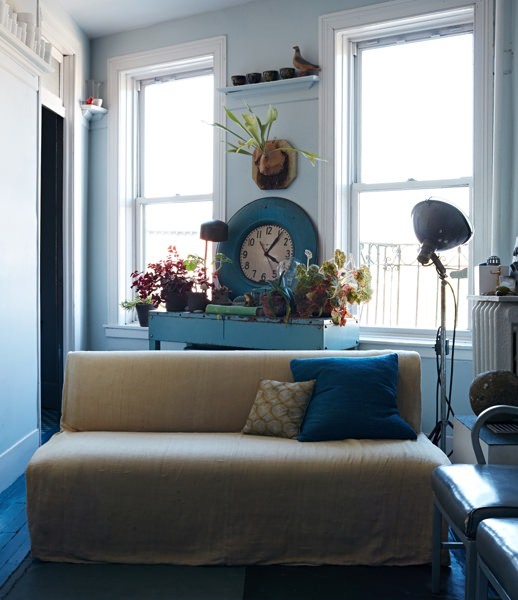 Johnson painted the walls and floors his favorite color: "I just don't think you can go wrong mixing all kinds of blues." Try all sorts of furniture configurations. Johnson experimented with furniture placements until he found the layout that worked best and offered the most space. 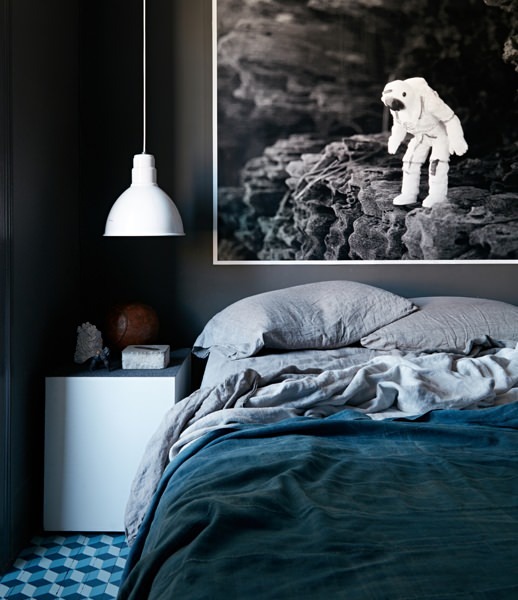 from the ceiling and subbed in an oversized framed photograph for a headboard. Be bold enough to change what doesn't work. Even in a rental, you can paint the cabinets if you're willing to paint them back to the original when you move out. Style cues to borrow for a stylish, well-appointed lair. Five simple hacks that will open up any area.